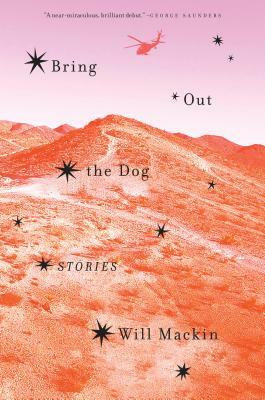 The eleven stories in Will Mackin’s mesmerizing debut collection draw from his many deployments with a special operations task force in Iraq and Afghanistan. They began as notes he jotted on the inside of his forearm in grease pencil and, later, as bullet points on the torn-off flap of an MRE kit. Whenever possible he incorporated those notes into his journals. Years later, he used those journals to write this book. Told without a trace of false bravado and with a keen, Barry Hannah–like sense of the absurd, Bring Out the Dog manages to capture the tragedy and heroism, the degradation and exultation, in the smallest details of war. A veteran of the U.S. Navy, Will Mackin served in Iraq and Afghanistan, first as a weapons system officer aboard a carrier-based jet, then as a joint terminal attack controller attached to a SEAL team. His writing has appeared in The New Yorker, GQ, The New York Times Magazine, and Tin House and been anthologized in The Best American Short Stories 2014. Originally from New Jersey, he lives in New Mexico with his wife and their two children.